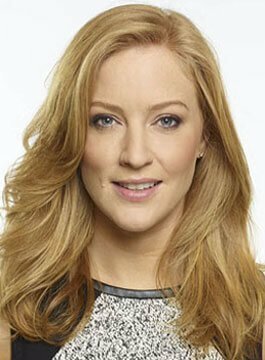 Sarah-Jane Mee is a Sky News Presenter. Sarah-Jane started her career as a runner at Sky Sports News. She later moved to ITV Central in the Midlands. As well as presenting the 6pm news ‘Central Tonight’, she anchored regional sports shows including ‘Central Soccer Night’ and ‘Hancock’s Half Time’ alongside Nick Hancock. Sarah-Jane joined ITV Sport’s presenting team for the 2004 Boat Race – its first year on the channel. In 2006, Sarah-Jane began her radio career co-hosting the ‘Heart Breakfast Show’, the Midlands biggest breakfast show. From 2002 – 2009 Sarah-Jane hosted Sky Sports’ Premier League highlights show ‘Football First’. She also presented Sky’s Champion’s League coverage on Wednesday evenings alongside Richard Keys. Sarah-Jane hosted Sky Sports’ Saturday morning magazine show ‘Cricket AM’ during the summer months from 2009 to 2013. A champion of women in sport, Sarah-Jane was proud to host the ‘Sports Women of the Year’ live on Sky Sports. Sarah-Jane hosted Sky Sports’ flagship Premier League Show ‘Saturday Night Football‘ each weekend alongside David Jones and Jamie Redknapp. She also presented extended highlights from the Premier League in ‘SNF: Match Choice‘, which followed the main programme each weekend. Sarah-Jane became the first female lead anchor of Sky News breakfast show ‘Sunrise‘ taking over from Eamon Holmes and can now be seen Monday-Thursday 6-10am. A popular live event host, Sarah-Jane has hosted awards ceremonies including the Inspirational Women Awards, sports events such as the Boodles Tennis tournament and on pitch presentations and activity for the ECB and RFU. Sarah-Jane has also hosted Q&A sessions for Google, Amnesty International, the League Manager’s Association (LMA), and Chance to Shine charity amongst others. Sarah-Jane lives in West London and can often be found playing golf.